I would like to thank Charlie Hulme for his permission to use his research about Miss Ray’s former home. If you walk from Davenport station down Garners Lane, turn right down Rostrevor Road and down,, through what was once the farmyard of Slain Farm, on to Adswood Road you may notice, on the left behind the St Ambrose Primary School, the large building in classic brick style which is Bamford Grange, home to 79 residents with 24-hour mental health needs, opened in 2002. On the front wall near the entrance is a blue plaque commemorating Gabrielle Ray, born on this site April 28th 1883: ‘Gaiety Girl, actress, singer and dancer, she was the most photographed stage beauty of the Edwardian Age.’ The plaque, sponsored by the Gabrielle Ray Appreciation Society and installed by Stockport Council, was placed there in 2008, and was the first such plaque in Stockport to have a woman as its subject. However, like some other celebrated natives of Stockport such as Fred Perry and Joseph Whitworth, she left the area while still a child. Her show business career ended in 1920, and she died in 1973, but today she is much celebrated on the Internet and elsewhere; her information folder in Stockport Heritage Library is one of the thickest in the collection. While passing Bamford Grange one day in 2013, I decided to investigate the story of the buildings that have previously stood on that site, and their residents. 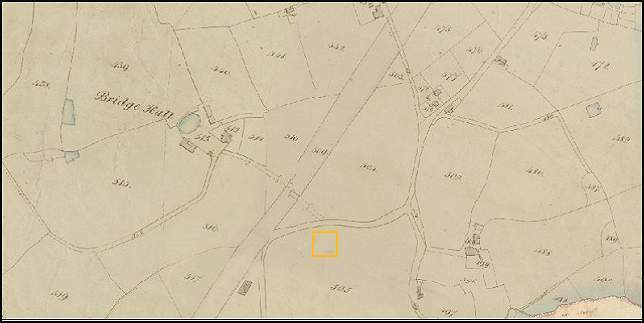 The Tithe Map dating from the 1840s (above) shows that historically, the field concerned, known as ‘Madge Field’ was in the Township of Cheadle Bulkeley, part of the Parish of Cheadle, and the area was one of the scattered farmsteads as can still be seen in rural parts of Cheshire today, with the beginnings of encroachment by railways, in the form of the London and Birmingham Railway, which today we know as the line from Stockport to Cheadle Hulme. The Madge Field was part of Adswood Hall farm, based at the old Hall which dated from 1659, said one of the first brick-built houses in the area. The farmer in 1861 was Benjamin Chetham, but the land was owned, like much of the land in our area, by Lloyd Hesketh Bamford Hesketh of Gwrych Castle, near Abergele. He died in 1861, and the estates passed to his son Robert, and in 1894 to Robert’s daughter Winifred, Countess of Dundonald. Their family names can still be found in those of various streets and buildings around their lands, including the Bamford Arms public house in Heaviley, and it would seem that Bamford Grange follows this tradition. 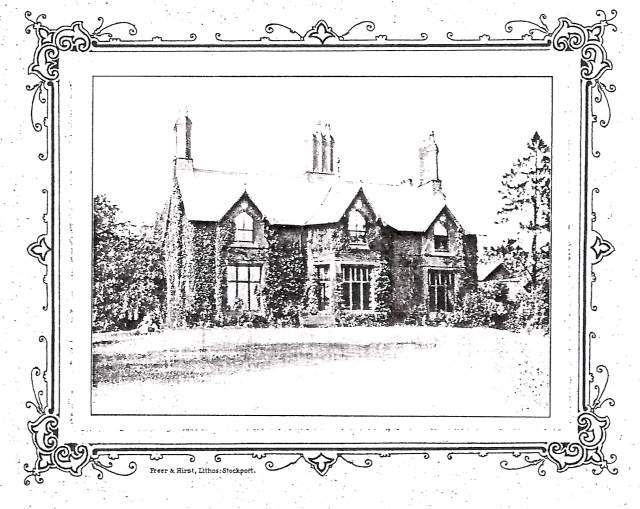 The picture above, from the auction leaflet of 1913, shows how the house looked. Its very earliest days are obscure, as the Land Registry records do not go back to its origin. Whether it was commissioned by its first resident or built by the Bamford Hesketh estate remains to be discovered. It did not appear in the 1861 Census, which suggests it was built in the 1860s, making it one of the first ‘new’ houses in the area. The census record for 1871 does not give house names, but based from his position on the census listing next to George Atkinson who is know from later records to have lived at nearby Holly House, it is likely that an early resident, if not the first, was Captain Francis Lloyd, who on 10 November 1860 who had been awarded the post of Adjutant to the 4th Battalion of Cheshire Rifle Volunteers, based at the Stockport Armoury, opened in 1862 (above), which still stands in Greek Street, Edgeley, Stockport. Born in Warburton, in rural Cheshire, Captain Lloyd (aged 47) was resident in Bamford Lodge in 1871 with his wife Mary and servants Sarah Wheetton, Mary Higginbottom and James Wyke. Soon afterwards he retired and moved with his wife to Devon. The next householder to consider is William Austin (or Augustine) Cook, the father of the famous Gabrielle Ray. He was born in Hathersage, in the Hope Valley area of Derbyshire, a place which we associate with pleasant scenery, but for many years Hathersage was an industrial settlement. William’s father, Robert Cook, moved there with his brother David from the Redditch area of Worcestershire, known for its needle manufacturers, about 1811, and set up in business in Hathersage. 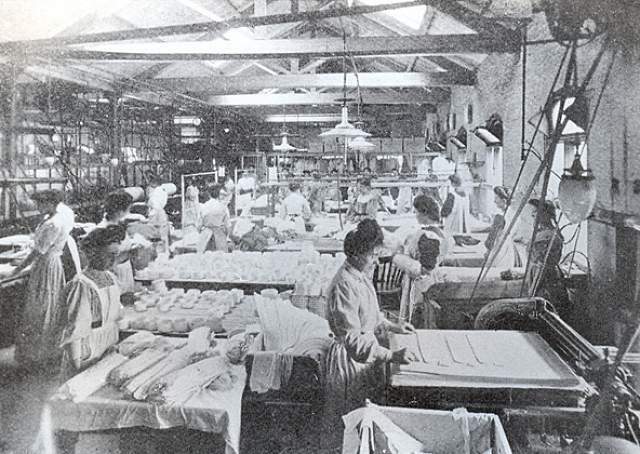 They created the Barnfield works to make needles, and similar items needed by the textile industry, and lived in nearby Barnfield House. 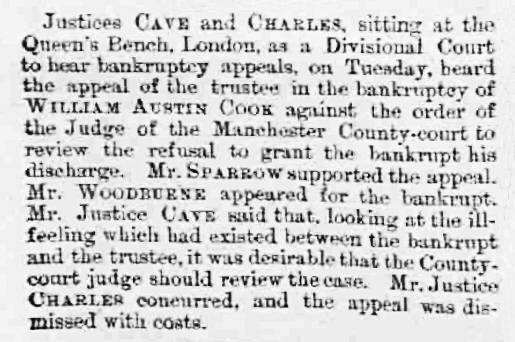 Robert Cook died in 1866, and his eldest son Robert Charles Cook took over the firm. William, his third son, born 1846, left for the Manchester area where he set up in business as an iron merchant. The 1871 census finds him lodging with a couple at 328 Oxford Road, Chorlton-on-Medlock, Manchester. In 1873, then living in Stretford, he married Annie Maria Elizabeth Holden at St Ann’s Roman Catholic Church in Stretford, and by 1874 the couple had moved in to Bamford Lodge, which was still named as such in a directory published that year. 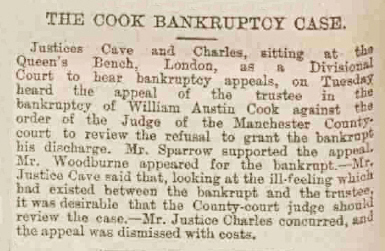 In 1880, William was appointed as a Magistrate for Stockport, apparently despite his application having been rejected by a vote of the Town Council. By 1881 they had renamed it Bamford Grange and had children: Darcy Austin Cook (b.1874), Edith Mary Ferdinanda Cook (b.1876), and Gladys Maria Clifford Cook (b. 1879) and the household also included a nurse, under nurse, cook and coachman. Beatrice Mary Marcalla Galway Cook was born in 1881, Gabrielle Elizabeth Clifford Cook in 1883, and Edward Holden Cook in 1884. By this time the Cooks’ personal and business lives were starting to unravel. 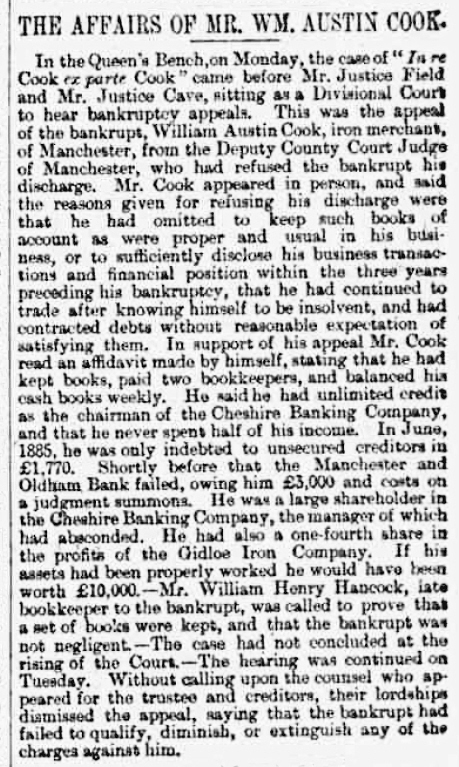 William became involved in some dubious companies promoted by a Walter Pitt, including the Staffordshire Union Bank and the Globe Wine Company, followed by the Cheshire Banking Company which merged with the Staffordshire Union Bank. All these enterprises failed with consequent loss to their gullible shareholders. 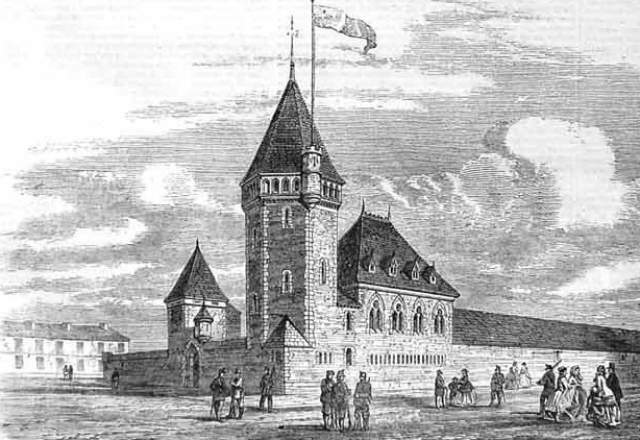 He was accused and acquitted of Forgery, made bankrupt and was suspended from his post as a Justice of the Peace. Annie, who had become head of the business due to William’s bankruptcy, became ‘romantically involved’ with her Scottish-born accountant James Johnstone (who was married with three children) and Barbara Cook, born in 1888, was in fact Johnstone’s child. By 1891, James Johnston and Annie had moved to London and were living as man and wife in Stockwell with Darcy, Gabrielle and Edward Cook as well as their own children Barbara and Dallas. 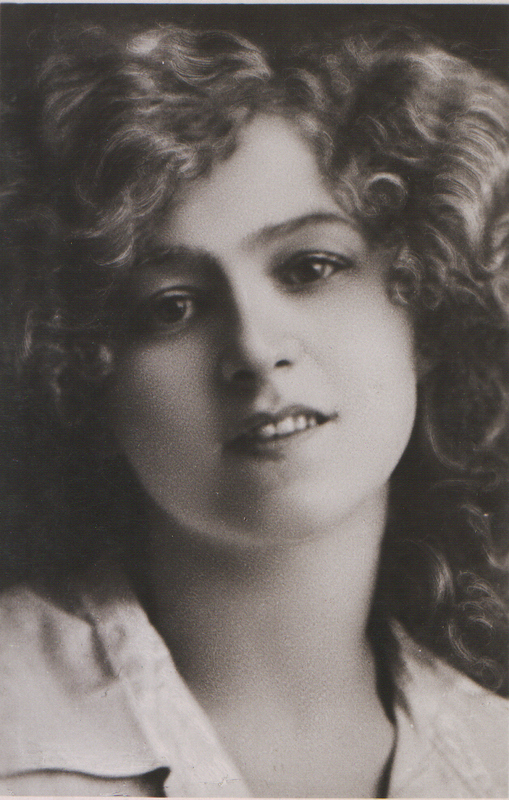 By the time she was ten years old, Gabrielle’s stage career had begun, and from her teenage years, under the management of George Edwardes and with a new name she became the famous Edwardian beauty Gabrielle Ray. By 1888, when Barbara was born, the Cooks had left Bamford Grange for a more modest residence, 137 Upper Brook Street, Chorlton-on-Medlock, Manchester, not far from William’s business address at 35 Oxford Street in Manchester City Centre. In 1893 the couple were divorced, and by 1901 William also had left for London where he married Caroline Gertrude Hunt. In the 1911 census, it appears he was running some kind of hotel. He died in 1920. 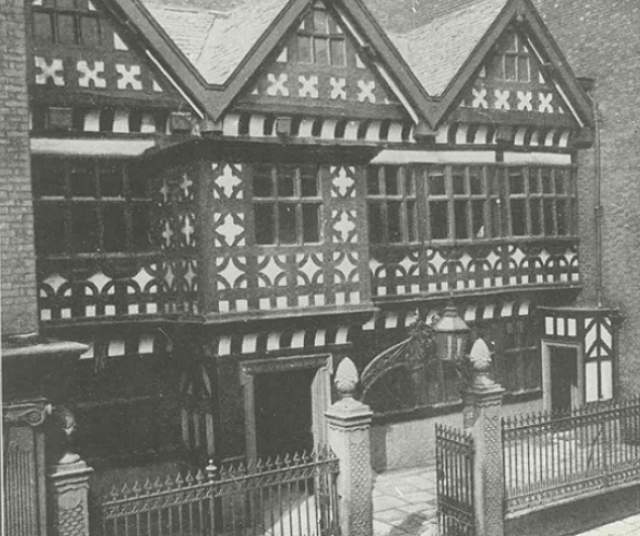 The next resident of Bamford Grange was Arthur Jenkins Harrop, who was the manager of the Stockport branch of the Manchester and Liverpool District Bank, based in Underbank Hall, the black-and-white Tudor townhouse (pictures above c.1900) which still stands, and operates as a bank, in 2014. The picture above, taken by the firm of Bullock Brothers, shows the building in Mr Harrop’s day. It was the town house of the Arden Family until the 1829 when it was sold by auction and became a bank, which by takeovers and mergers over the years became a branch of the District Bank and then the Natwest. The District Bank had a taste for black-and-white architecture, either original or replicated; other examples can be found in Station Road, Cheadle Hulme, and the now-closed branch in Shaw Heath, Stockport. Born in Northenden, Cheshire in January 1842, Arthur Harrop transferred to Stockport in the 1880s from Todmorden where he had been managing the bank branch there, although he knew Adswood well. In 1861 both Mother and Grandmother gave their occupation as ‘Railway Shareholder.’ His father John Harrop, an Attorney-at-law whose office was on Rostron Brow in Stockport, married London-born (Mary) Eleanor Jenkins Austin in 1833. Their home by 1841 was Sharston Mount, a large and historic farmhouse in Northenden which at the time was surrounded by fields and still survives as a listed building amid modern housing. John Harrop died when Arthur was very young, and after living in Wilmslow for a while the family, including his grandmother and Mary Davy and his three brothers, returned to grandmother’s birthplace, Lampeter in Wales. Arthur returned to the Stockport area by 1861 and 1871 he was working as a bank clerk, later a cashier, in Stockport and living with his mother (Mary) Eleanor Harrop and his grandmother Mary Davy in an unpretentious house not far from Bamford Grange. Arthur’s mother died (in December 1886) soon after he brought her back from Todmorden to live in Bamford Grange, and he lived there unmarried, with two servants, until his death in 1913, occasionally making the news by giving evidence against fraudsters in criminal trials, including one at the ‘Old Bailey’ in London. 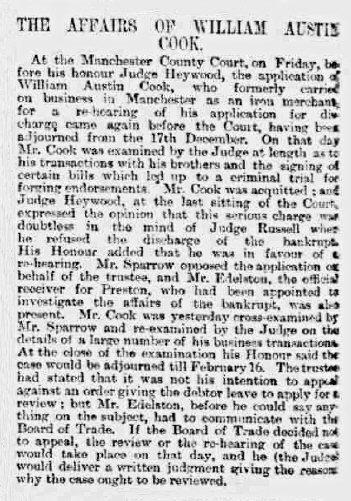 In 1887 he became involved in some legal proceedings involving his brothers and nephews regarding their inheritance. His servants in 1911 were Esther Roberts (46), cook, born in Montgomeryshire, and Edith Willett (22) Housemaid, born in Herefordshire. Details of Arthur’s will, published in 1913, give some idea of his friends and interests. He left assets valued at over £50,000, and bequeathed £2000 to the Royal Society for the Prevention of Cruelty to Animals, £500 each to the National Society for the Prevention of Cruelty to Children, Dr Barnardo’s Homes and Stockport Infirmary, £300 to to the Stockport Sick Poor Nursing Association, £200 to the Stockport Association for the Stockport Association for the Blind, Deaf and Dumb, and ‘£1000, all his wines, spirits and liqueurs, and “Ormerod’s History Cheshire” to his old friend Dr. Edwin Rayner, of Cheadle Hulme”. The residue was to be divided equally between the children of his brother Edward Davy Harrop, formerly a bank manager at Launceston, Tasmania. Dining Room, 23 ft. by 18 ft., with large Bay Window facing south. Drawing Room, 18 ft. by 14 ft. 6 in., with Windows facing south and west. Breakfast Room, 15 ft. by 11 ft. 6 in., with Window facing south, and entering into conservatory, and small Business Room. Five Bedrooms (one of which has bath), and W.C. Kitchen, Scullery and Pantry, and Cellared throughout. The Outbuildings comprise 2-stall stable, Coach House, Harness Room with Loft Over, Laundry, &c.
The map from 1910 shows that the house was indeed still surrounded by farmland, and at 228 feet above sea level would have had a fairly expansive view. Nearby, Holly Cottage was the home of George Atkinson, an architect. At Bridge Hall lived Charles Aldis Brady, farmer and auctioneer, whose firm conducted the Bamford Grange auction. Two railways passed nearby, but both were in cuttings, so probably did not disturb Arthur’s peace too much. Old English China, including choice examples of Worcester, Derby Crown Derby, Spode, Staffordshire, Dresden, and Wedgwood ware, nearly all marked and in factory condition; a quantity of find old cut class. The Library of about 700 books, including “The London Theatre” by Dibdin, 1818; “Humphrey Clinker”, 1789; “Hudibras”, “Syntax Tours” and “Vicar of Wakefield”; Rowlandson’s coloured plates; “Exotic Gardener”, 1814; “Curtis and Smith’s Botany”, 1804; “La Belle Assemblee”, 1814-1832; “Ackermann’s Repository”, 4 vols. ; Waverley Novels, and others. 600 ounces of Georgian silver, chiefly from 1770 to 1810. Including Tea and Coffee service, 1809; Hot Water Jug, 1789; Cream Jug, 1812; Embossed Mug, 1816; Coffee Pot, 1778; Sugar Caster, 1779; Cruet Stand, Dessert Knives and Forks and Table Silver. Also the Fine Old Sheffield Plate, consisting of Set of Fine Fluted Candlesticks, 13 in. high, with branches; Centre Stand, with twisted branches and cut glass dishes; Extending Candlesticks, sets of Coasters, etc., all in new condition. Jewellery, comprising Heavy Gold Lever and Verge Watches; Gold Watch Chain, Gold Chain and Fob; Pearl Collarette, with Earrings Brooches and Head Ornaments; Gold Brooches, Rings, etc. 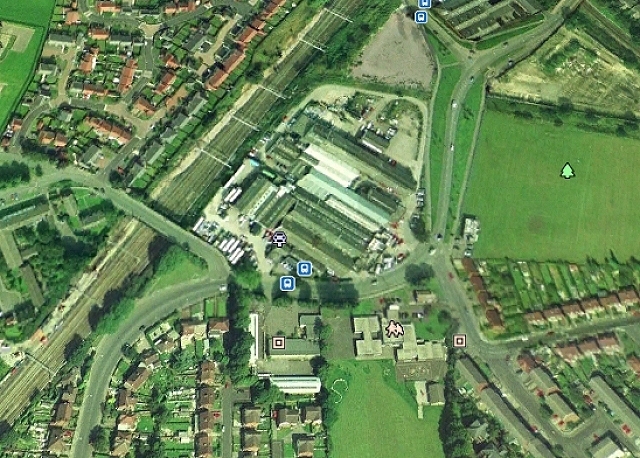 Mr Harrop has also invested in property in Altrincham, which featured at an auction in Manchester on 15 June. 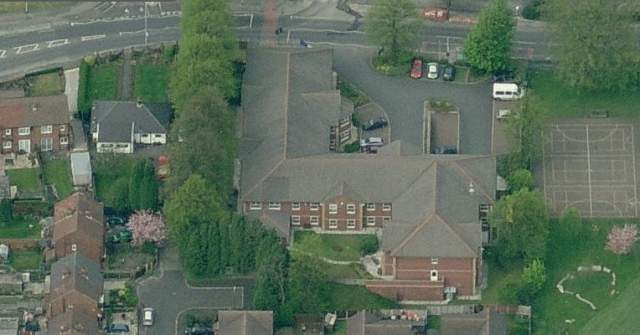 He owned 48 cottages, 5 shops and part of the land of a Wesleyan Sunday School, all in the New Street, Regent Road and Hope Square areas on Altrincham, which had provided him with rental income of over £600 per year, equivalent around £50,000 in 2011. Unfortunately for whoever bought them, however, Chief Rents of this kind had no provision for inflation, so they would still generate £600 today. The next residents of Bamford Grange after 1913 were Thomas Hall Machin (born Stockport 1868), and his wife Edith Louisa Machin (1875-1963). Thomas’s father was a Yorkshire-born shoemaker who settled in Middle Hillgate, Stockport. 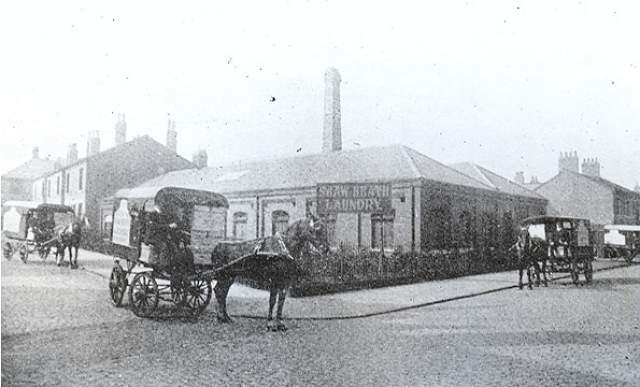 Thomas used the proceeds from his bicycle business to set up the Shaw Heath Laundry in Lowfield Road, which opened for business sometime after 1901; it appears in a Cheshire directory for 1906. Stockport Library’s image archive includes some pictures of the laundry (above) and its delivery vans which seem to date from Machin’s time. 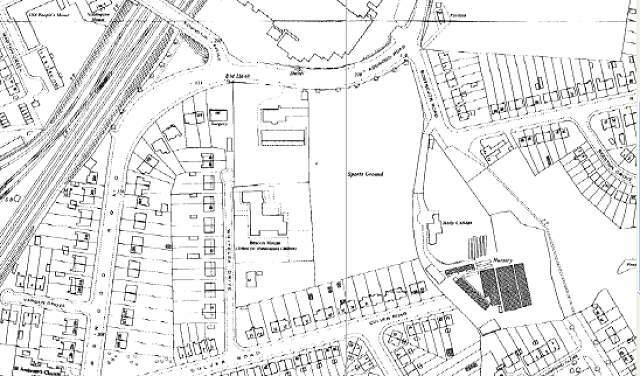 The laundry was built on the south side of Lowfield Road, on the western corner with Broadhurst Street, an area that had still been undeveloped at the time of the 1898 Ordnance Survey map. A staff portrait: is that Thomas Machin in suit and hat on the right? Inside the laundry, with what look like ironing machines. Note the hazardous unprotected drive belts which were considered normal at the time. The overhead shafts would have been connected to a steam, or possibly gas, engine. The laundry continued in business for many years under new management after Mr Machin retired (he died in 1950), finally closing its doors in 1962; its contents were sold, along with delivery vans and a Zephyr car, in an auction held on-site. John Harroway was born in Blyth, Northumberland in 1873; his father was a ‘mariner’. By 1891 he had left home and was in lodgings in Salford working as a Grocer’s assistant. A 1914 Directory lists a Jonathan Harroway, grocer at 13 Higher Hillgate, Stockport, which may be him. From this beginning he rose to be the manager of a local chain of grocery shops, Nathaniel Gould and Co. 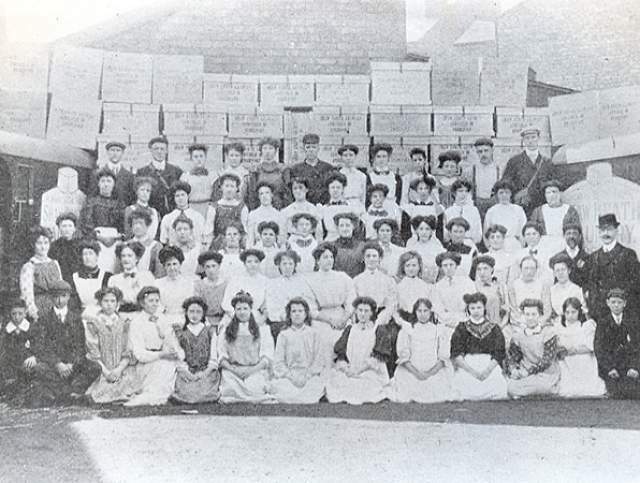 The firm had been founded in 1848 as a tea merchant in Market Street, Manchester by Derbyshire-born Nathaniel Gould (1824 – 1874), but by Harroway’s time had been sold to other owners, although trading under the Gould name. Nathaniel’s son Nathaniel (usually known as Nat Gould) lived in Australia for some years, and became a famous writer and novelist. The cost of butter they give as 300 per cent up, yet people only get 1 oz. of butter per head and for the rest substitute margarine, which actually means a credit to reduction instead of an increase … Cheese consumption has increased by 400 per cent, because it is taking place of meat, and so on. A statement worthy of a 21st century politician, you might think, but the authors of letters to the editor were not impressed by his logic. 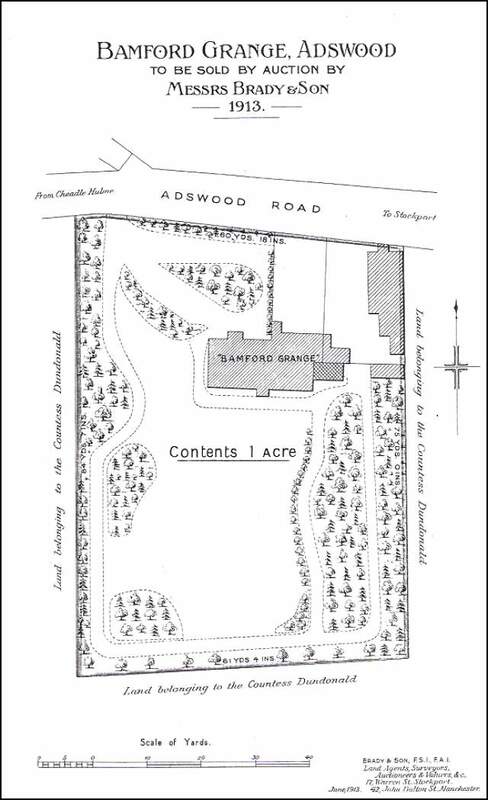 By the time of the 1934 map above, the bucolic charm of Bamford Grange had been somewhat lessened by the construction of the Superheater and Pipe Works with its travelling crane just across the road, and a housing estate on the fields of the former Adswood Hall Farm. 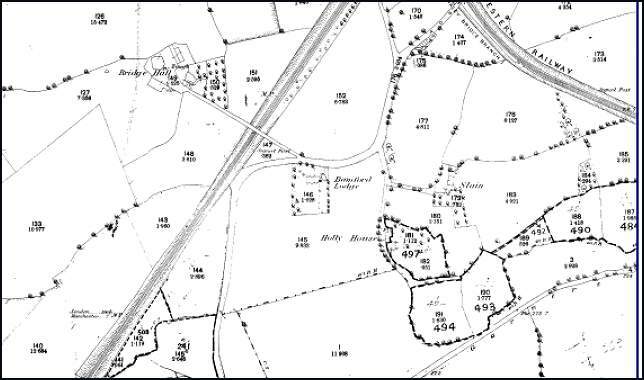 The last farmers, the Lomax family, retained a small part near the Adswood Road railway bridge, which continued to trade until 2008. What this means is far from clear: however, the 1934 directory has ‘Jn. Harroway’ at 34 Peel Moat Road, Heaton Moor. By the 1950s they had moved to 53 Haddon Road, Hazel Grove. John died in 1957, his widow Hilda lived until 1969. Their son Cecil died, aged 90, in Trearddur Bay, Anglesey, in 1995. The firm went into liquidation during World War II, although it was resurrected after the war as ‘Nathaniel Gould & Co (1949)’ and the shops in Stockport and Urmston were trading under that name in 1951, appearing for the last time in 1963, by which time the Lancashre Bridge branch had already closed. In the 1930s the firm also owned the ‘Cecil Café’ at 26 Princes Street, Stockport. The firm seems to have been a pioneer of selling alcoholic drinks in a grocery shop: The 1902 Directory lists the Bridge Street shop as ‘agents for W. & A. Gilbey Limited, wine & spirit Merchants’, and there are records of licences being refused for the Manchester shops. 110 Shaw Heath is now the address of the ‘Florist’ pub: presumably the shop would have been adjacent. After the Harroways left, the house ceased to be a residence. It was bought by William A Muir Ltd, Jewellers and Pawnbrokers, and was probably used as their offices and workshops. 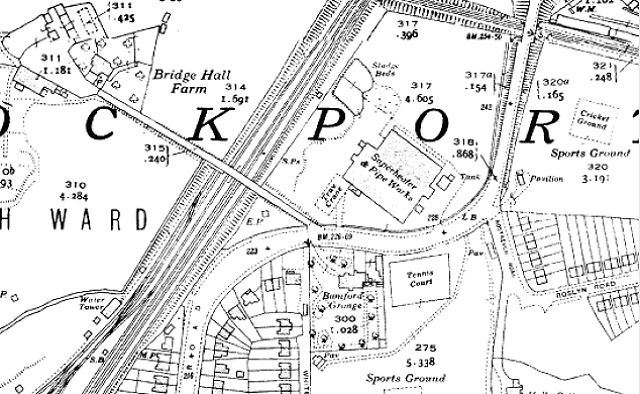 From the 1962 map (above) it appears that initially, as least, they retained the original building and added to it. The a school for handicapped children, immediately to the south, had a very short life; in the 1990s it was been replaced by houses. Part of Slain Farm was also retained as a plant nursery, seen towards the bottom right of the map. Rostrevor Road was later extended along the footpath towards its ‘other half’ leading to Garners Lane, but never made into a through road; houses were built across it, leaving just a footpath connection. The naming of roads in Stockport can be very confusing to the uninitiated. A main electricity substation now stands on the land to the east of the footpath. William A Muir Ltd ceased trading in the early 1980s, and the newer part of the buildings became a branch of City Electrical Factors, a national chain of suppliers to the electrical trade, with no sign of the original house on the aerial picture above, dating from 2000. Shortly after this, that company accepted a generous offer of about four million pounds, and the site was cleared for the construction of the present-day nursing home, whose first residents appear in the 2003 Electoral Register. 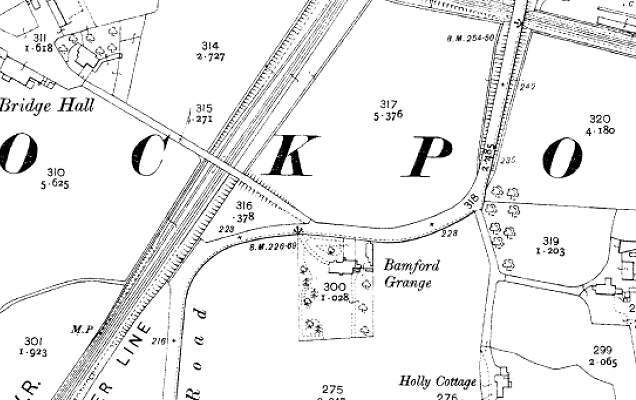 Also visible on the picture towards the top right is the last trace of the former railway (known as the ‘Khyber Pass’ to railwaymen) which cut across from Davenport Junction to the Altrincham line. This has since been obliterated by a new street of houses. The housing in the upper left corner had already been built over it by the time of the picture. Adswood Road crossed this railway on a bridge, which has been removed and the road lowered. This map from c.1900 shows the general area well. The view to the south over Cheshire would in later years have included several brickworks.